The Coastal Area Traffic Enforcement Network (C.A.T.E.N.) is a network within a statewide network comprised of all 159 counties in the State of Georgia The area networks were organized by the Georgia Governor's Office of Highway Safety to better protect the public while traveling on the highways and roadways of the State of Georgia through traffic enforcement. This objective is accomplished through the exchange of information between traffic enforcement officers, as to specific problem areas, sharing of ideas with their counterparts from other agencies in their region, and training. C.A.T.E.N. and all the other area networks are comprised of Municipal, County and State law enforcement officers in conjunction with The Governor's Office of Highway Safety and The University of Georgia, Cooperative Extension Service, in the southeast coastal region of the State of Georgia. Counties included in C.A.T.E.N. are Liberty, Long, Tattnall, McIntosh, Brantley, Ware, Pierce, Bacon, Appling, Wayne, Charlton, Glynn, and Camden. 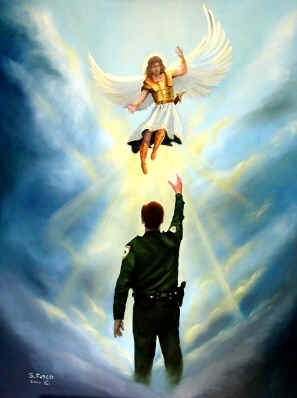 Saint Michael, watch over us! The Coordinator for C.A.T.E.N. is Lt. W.L. Hires of the Jesup Police Department . The Assistant Coordinator is S/TRP. B.J. Kennedy-Leopold of the Georgia State Patrol. Each Law enforcement Agency in the State of Georgia is encouraged to participate in a regional Traffic Enforcement Network. If you would like more information about the Georgia Area Traffic Enforcement Networks, please contact the Law Enforcement Coordinator, for the Governor's Office of Highway Safety. Georgia Public Saftey Training Center - Savannah, GA. This Thin Blue Line Web Ring site is owned by The Coastal Area Traffic Enforcement Network . Want to join the ring? Get the information .